The BBC's documentary series, Human Planet, featured the incredible construction skills of the Korowai people in Papua New Guinea. The first Western contact with the Korowai is thought to have occurred in the 1970s, during an expedition co-led by anthropologist Peter Van Arsdale (now at the University of Denver). They are hunter-gatherers who also rely on some domesticated resources, including pigs, bananas, and tubers. 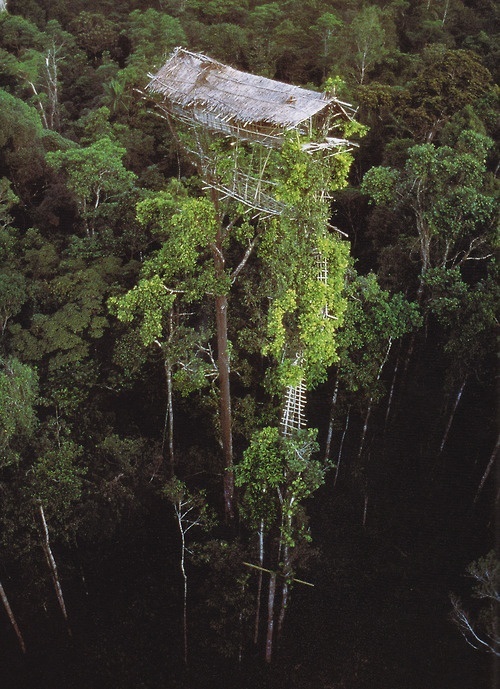 Perhaps most famously, the Korowai also build elaborate houses high up in the trees of their tropical rainforest habitat.